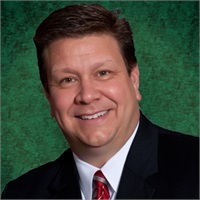 Dwayne has been a financial advisor in the Miami Valley for over 24 years, starting out with Edward Jones and then opening up his own firm, Adams Wealth Management Group, Inc. in 1999. 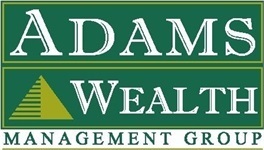 Dwayne, and the other financial consultants of Adams Wealth Management Group are affiliated with LPL Financial, the largest independent Broker/Dealer firm in the country*. Through his hard work and diligence, Dwayne has been featured in USA Today, Dayton Daily News, Dayton Business Journal, the Christian Citizens, as well as other publications in the area. For over 2 years Dwayne hosted a weekly financial radio program, “Money in Motion” on News Talk 1290 WHIO. Dwayne is a recognized leader in wealth management, retirement planning and estate planning. He specializes in working with retirees and their special needs such as tax planning, investment planning, retirement planning and innovative estate planning strategies. Dwayne is extremely proud to be the owner of a Veteran Owned Small Business. Dwayne believes in the importance of giving back to his community. He is a past Board member of the Board of Directors for the Centerville-Washington Township Foundation and is an active member of the Centerville Rotary, Miami Valley Military Affairs Association Board of Trustees, Dayton Chamber of Commerce, South Metro Region Chamber of Commerce, Portsmouth Chamber of Commerce, and Pike County Chamber of Commerce. Dwayne is an Independent Registered Representative with and offers securities through LPL Financial, Member FINRA/SIPC. *As reported in Financial Planning magazine, based on total revenues, 1996-2018.